Good fit and finish.I I like the fitting stick thing they come with, as it allows for a snug fit. No problem removing them. Not used in motorway yet, but feel like they should do the job. Will update review after motorway use. Made of a soft silicone, they fit snugly into my ears. I bought the twin pack, touring and race versions, which come in a small handy zipped pouch with a small plastic application rod, to make sure they go in properly. Both types work well, the race version taking away a bit more noise than the touring version. Also come with a small bottle of cleaning solution. Well made and reliable. Would recommend to all. Bought this kit for my annual 4 day Scotland trip. I've used disposable plugs from various sources for decades but always found after a long day my ears were aching slightly from the plug pressure and after removal I had a numb sensation to my hearing similar to a head cold! No such problems with the Alpine plugs whatsoever. Comfortable all day long, very easy to fit/ remove and hearing etc as normal at the end of a 1400 mile long weekend. Plus no problems if plugs getting wet as with disposable types. Wish I'd found these years ago.!!! Motorcycling is something you want to enjoy. Unfortunately, motorcyclists often experience an annoying ring in their ears and a very tired feeling after a long ride. This is caused by the high volume of wind noise under your helmet. At a speed of 120km per hour, the volume of wind noise averages at 98 dB. This means that you already risk permanently damaging your hearing after just 7 minutes. You will also become tired more easily, due to which you are less focussed in traffic. In order to avoid this, Alpine have developed the perfect hearing protection for all types of motorcyclists. 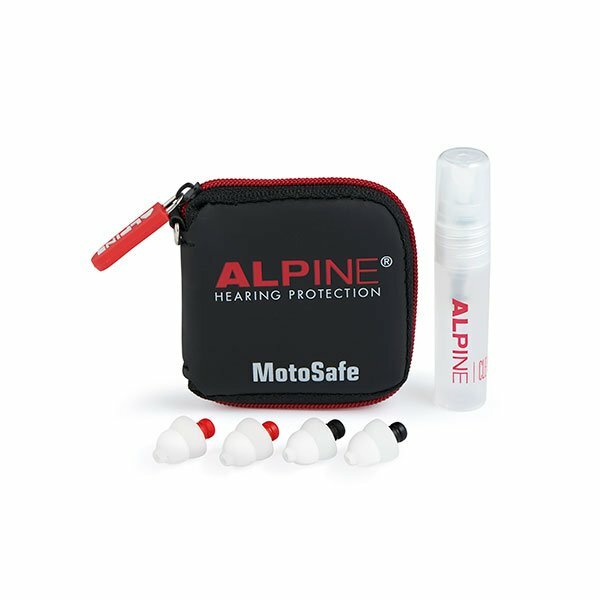 MotoSafe ear plugs attenuate harmful noises without giving a sense of isolation. Traffic, navigation, intercom and the motorcycle itself remain sufficiently audible, thanks to the innovative AlpineAcousticFilters. 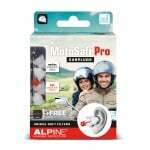 Alpine MotoSafe is available in different versions with protection adapted to the use. Racing on the circuit requires more protection than touring for example. Alpine MotoSafe earplugs are made of durable and flexible AlpineThermoShape material. Thanks to the warmth of the ear, the soft material is shaped to the ear canal for a perfect fit. In combination with the soft filters, the ear plugs fit perfectly underneath a helmet. 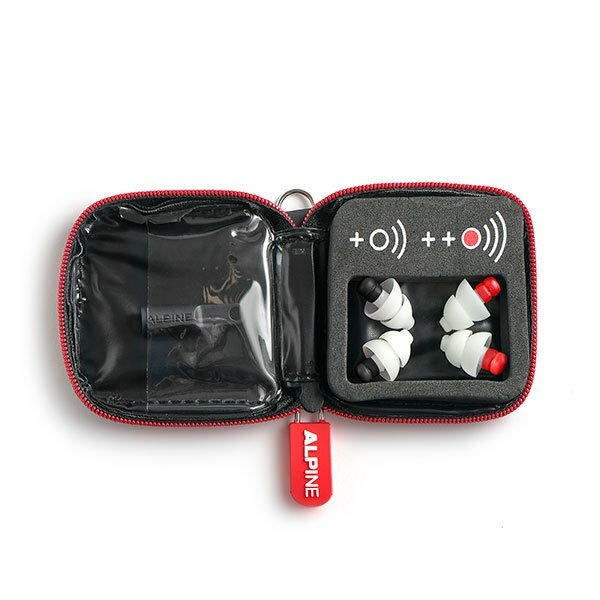 AlpineThermoShape material does not contain silicone, ensuring that the ear plugs do not sweat, itch or irritate. They can easily be worn all day. These ear plugs come with a handy pouch that can be attached to a keychain or kept in your pocket, ensuring you will always have your ear plugs at hand. 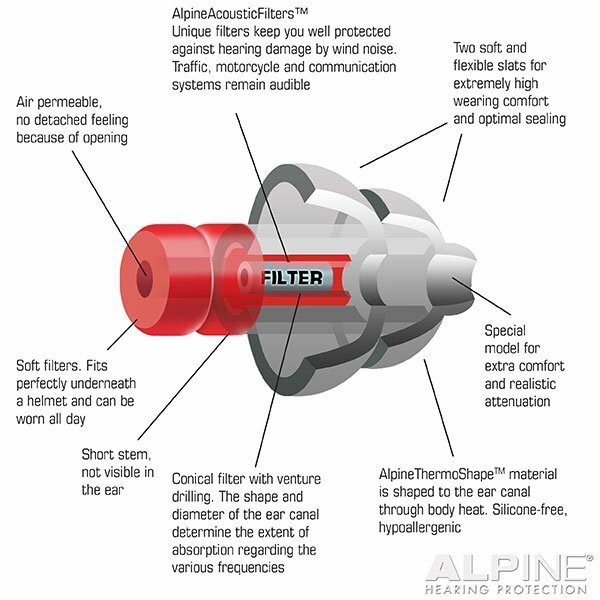 Alpine is one of the few producers in the world that has hearing protection as a core business, with the primary goal of making hearing protection as accessible as possible. Additionally, the family company has been working for years to create global awareness regarding hearing protection. Alpine supply their products globally in 50 countries, to distributors, large retail chains, hospitality establishments, events and online shops among others. Furthermore, their products have come out on top in tests in various countries. 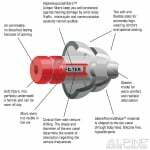 Especially due to the development of the special AlpineThermoShape material and the AlpineAcousticFilters, their earplugs are unrivalled in terms of comfort and attenuation.